Put these apples in the oven before making a quick dinner, and you’ll have a homemade dessert by the time you’re finished eating. 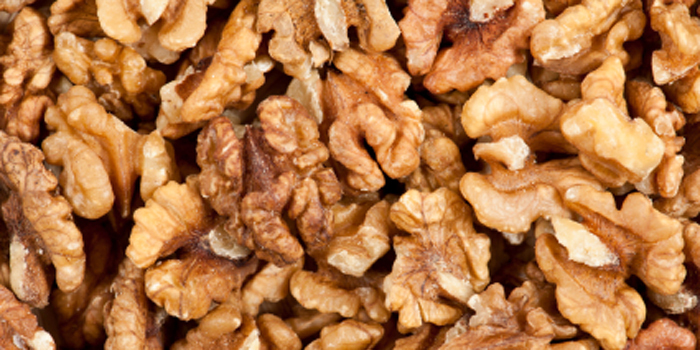 Chopped pecans or walnuts add a little crunch to the recipe. Preheat oven to 375º. Using a melon baller or tablespoon, scoop out the core and about 2 tablespoons of flesh from the center of each apple half. Arrange scooped side up in a small greased baking dish. In a small bowl, mix together melted butter, brown sugar, flour, nuts, and cinnamon. Mound equal portions of the nut mixture into the scooped-out area of each apple half. Cover with aluminum foil, and bake for 40 minutes. Remove foil, and bake for an additional 20 minutes, or until apples are tender. Serve with ice cream, frozen yogurt, or whipped cream.